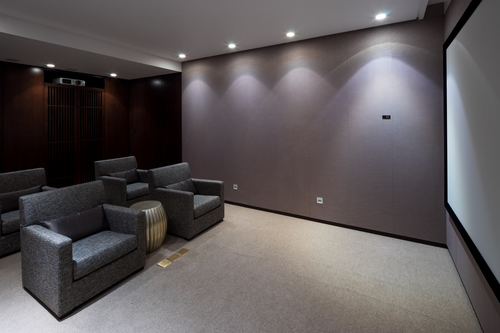 Do you want a trendy home theatre space to enjoy and show off to your friends? If your space is a home theatre then the little things like tweaks in audiophile furniture and minor change in viewing position can make a world of difference. Setting up everything yourself is no easy feat, but hard work bears fruit with an epic home theatre experience that will impress your loved ones and friends. 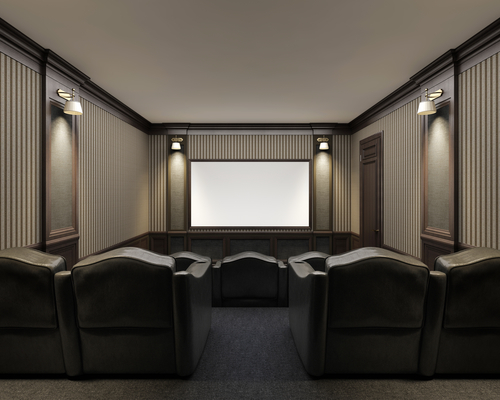 Here are five tips to optimize your home theatre space today. For a larger-than-life viewing experience consider centering your room. Your space is one of the biggest determinants before making the right equipment, tools, and custom unit choices. The whole point of having a home theatre at home is for the viewing experience, right? You want the right sound; you want to binge watch or enjoy your favorite movies and TV shows comfortably. Therefore, surround all your decisions around the space where you would like to sit and experience it all. Most people do it the other way around. They set up the home theatre space and then position themselves in the best suitable place in and around it. Remember that an ideal viewing position is in the middle of the room. Make sure your eye level matches the center of the TV screen when you sit down. Accurately speaking, multiply 0.84 by your TV screen width to find the ideal distance to position your seat. You also want to keep your seating arrangement away from the walls because the walls bounce off the sound from the speakers and can disrupt sound quality. Don’t depend on just your television speakers. Sure, flat screens get better every day; they look better; they are thinner and sleeker but the only downside are the speakers. TV speakers are generally small with the small diaphragm. Built-in speakers will not give you the surround sound experience you want from a home theatre system. So you need to invest in additional speakers that give you a better listening experience. Yes, a home theatre system has speakers, but getting poor quality speakers is a problem. Just placing two in the front and two at the back is also a problem. There are so many options for speakers it can overwhelm you to even think about it. You can rely on our expert speaker technicians to help you find the right speakers for your space – the ones powerful enough to sound fantastic from any corner of your room. While our design experts can help you hide your speakers without impacting your sound quality. You can manipulate the sound depending on the speaker size, for instance, if you have large speakers, then go to the audio menu and adjust the speakers to “large.” If you have small channels, use “small” option. You want a synchronized sound field around your viewing position. You don’t want muffled voices, rather, you want crisp and clear sounds as if you are at a concert. You may need help to calibrate your sound amplifiers because there is a calculation for the system’s subwoofer to reproduce the ideal sound spectrum. Audio can get complicated. Whether you calibrate manually or get speakers that have automatic calibration feature, you want a clear path between the speakers and your viewing seat. The path is a clean link between your speakers and other equipment such as your blu-ray player or your PlayStation. Our design specialist can help you design a custom media center solution to meet your needs and protecting your audio. The impact of the subwoofer is fully realized only with the proper placement. In the right spot, the bass sound waves move effortlessly throughout the room. The consistent bass tone enhances your listening experience. An incorrectly placed subwoofer can lead to various challenges such as varying frequency, punch, and tones from the TV or music systems. The ideal position of a subwoofer is at your ear level while you are in your seated viewing position. If you call an expert technician, they can explain the process of “reverse subwoofer” positioning technique and help you set up your systems the right way too. 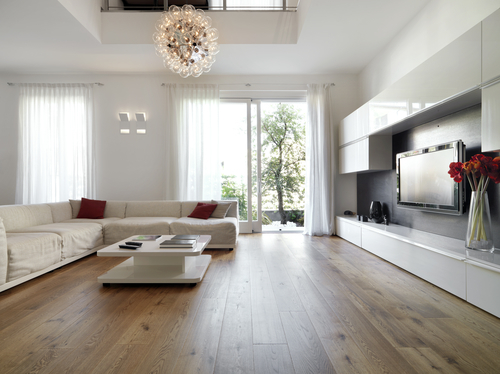 Move your viewing seat away from the walls and towards the center of the room. Move away from the speakers or closer, whichever gives you better sound experience. 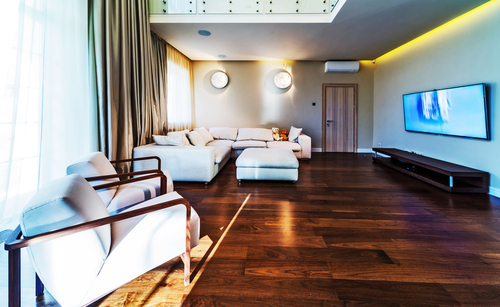 Use a throw a rug or carpet on wooden/tile floors to avoid sound reflections. Invest in a soundbar or high-quality speakers; don’t rely on built-in speakers. 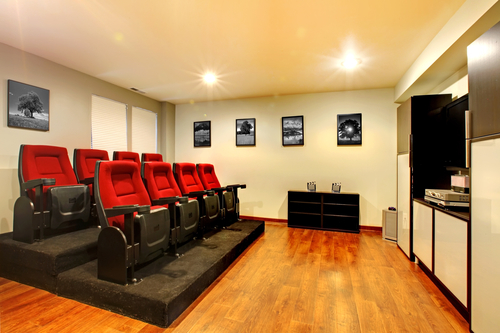 There is so much to consider for optimizing your home theatre space. Don’t move your Lazy Boy to get into the frame, use custom solutions to bring the system to you!